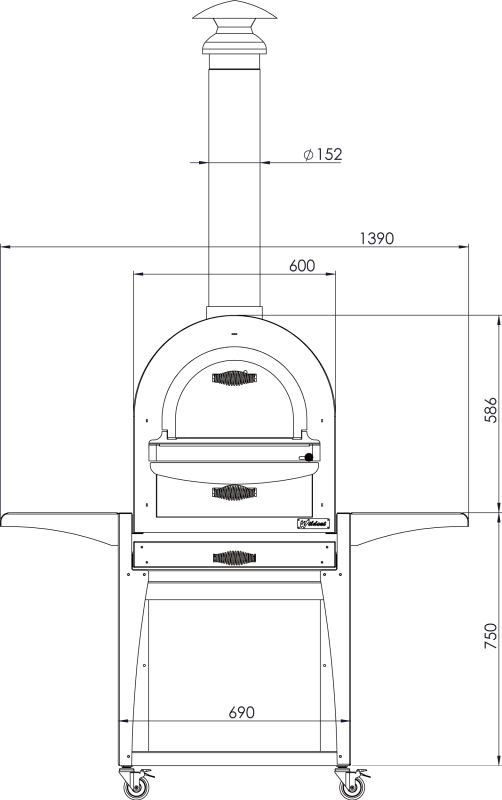 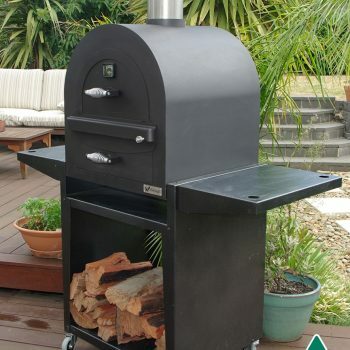 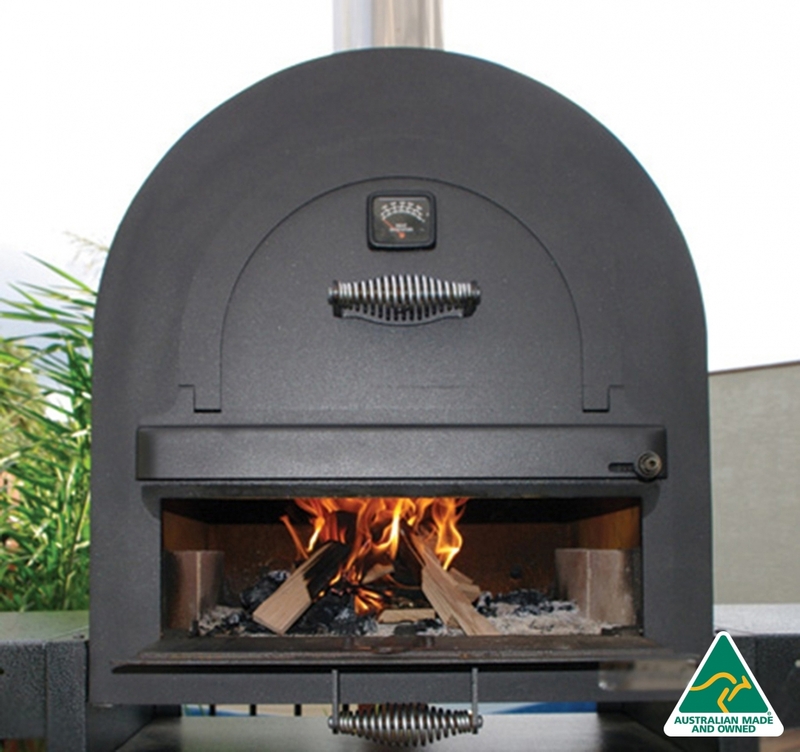 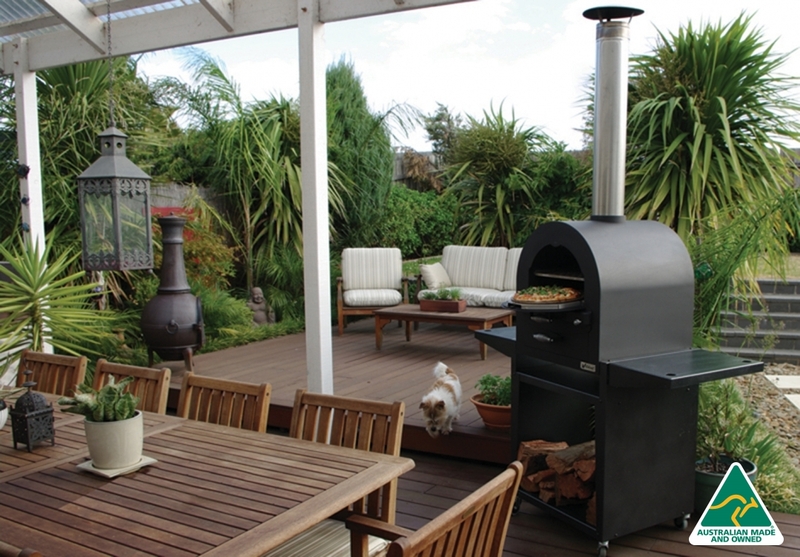 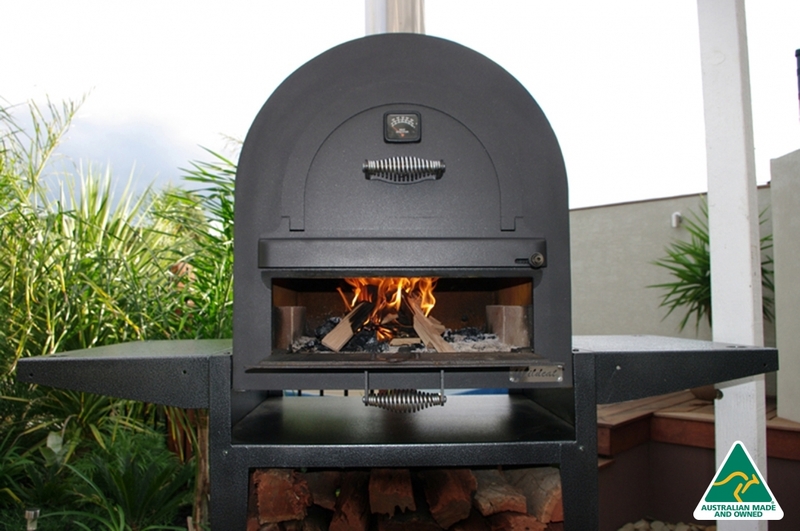 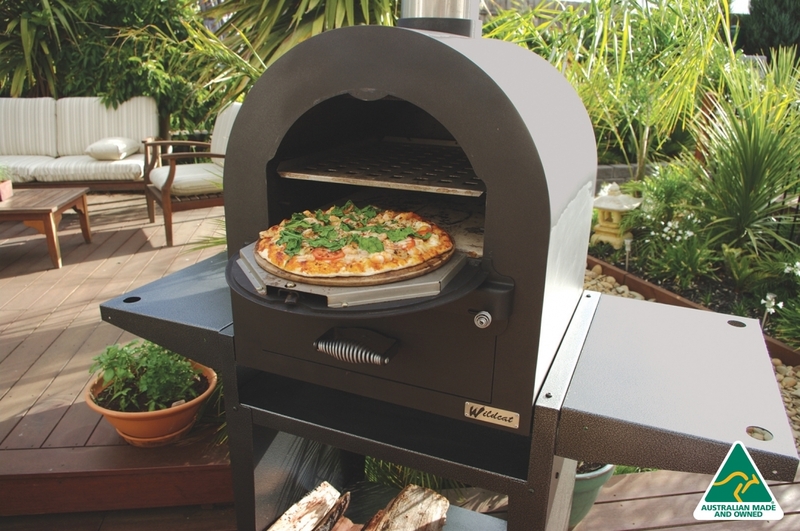 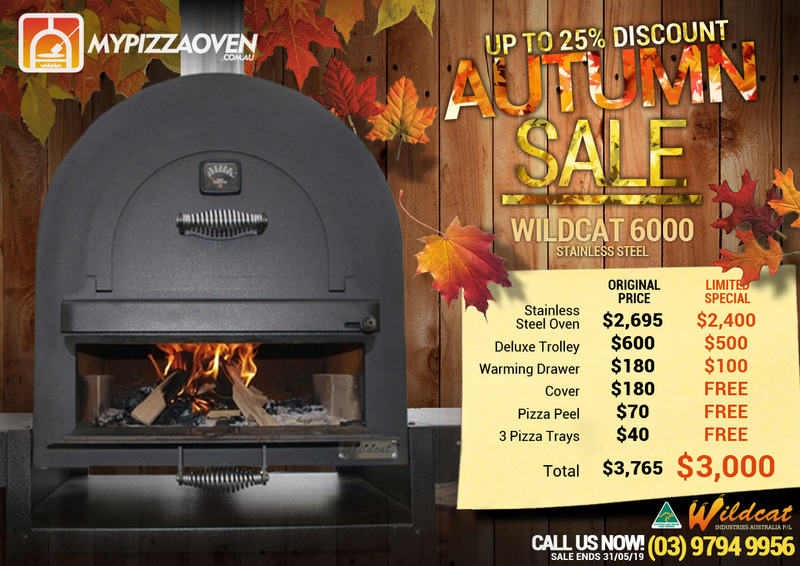 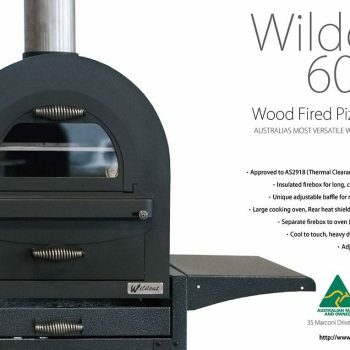 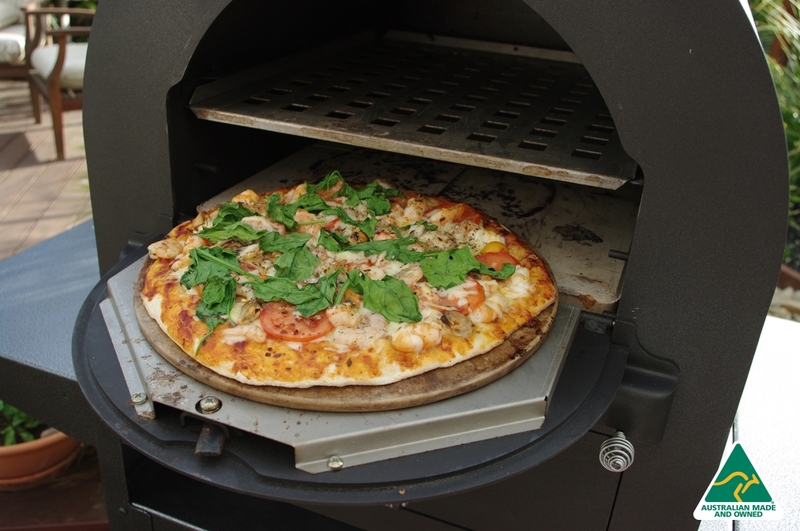 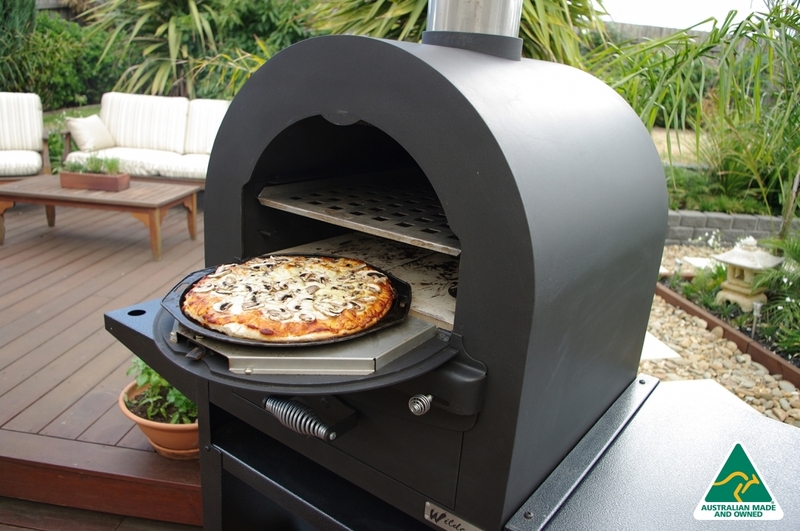 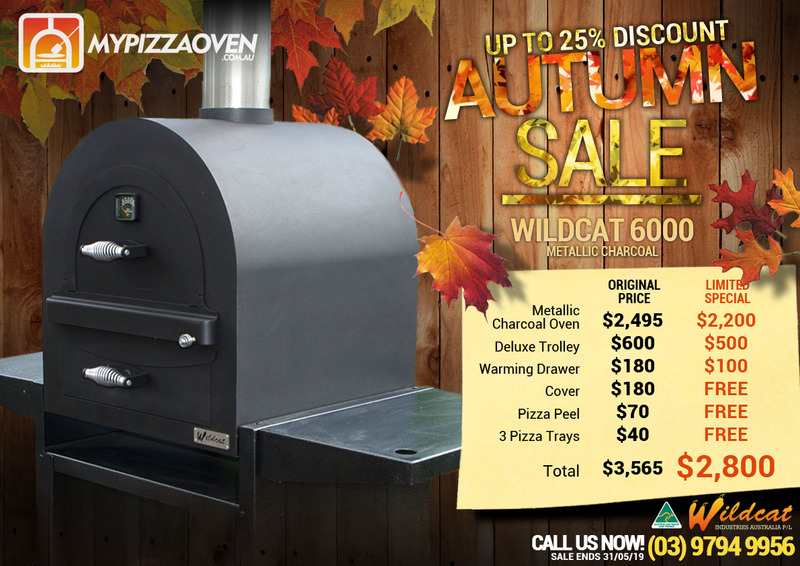 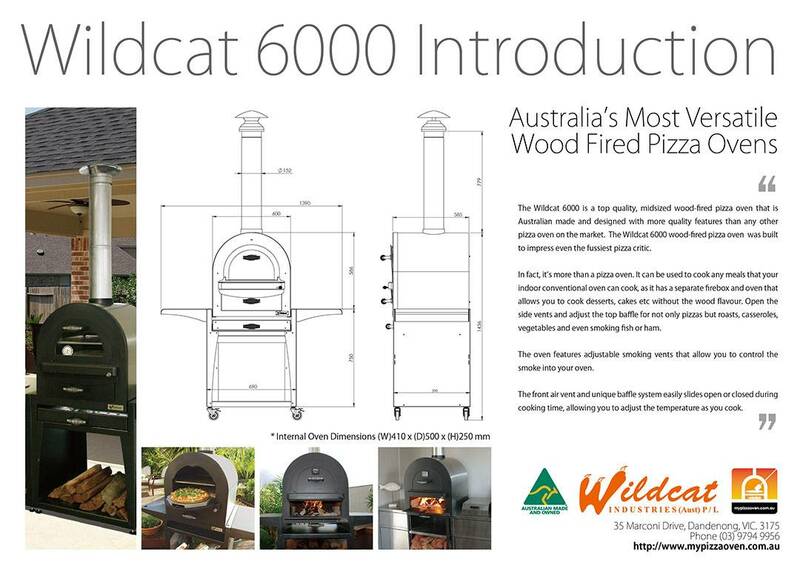 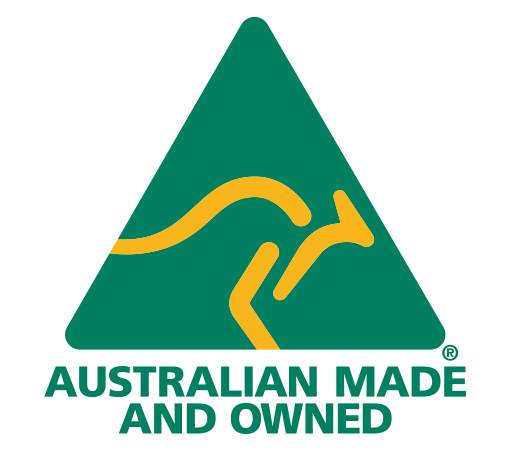 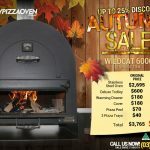 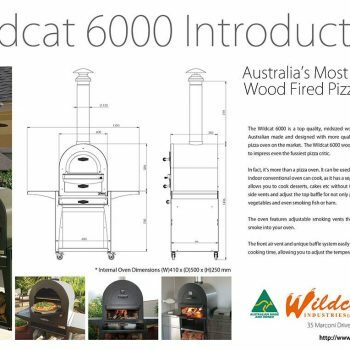 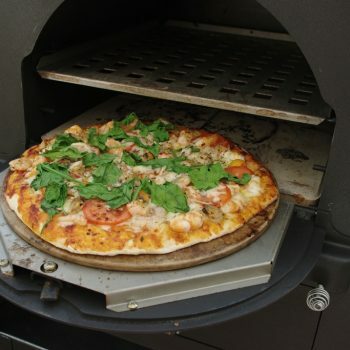 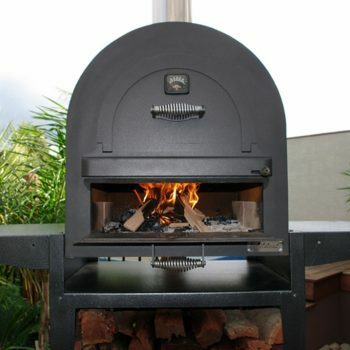 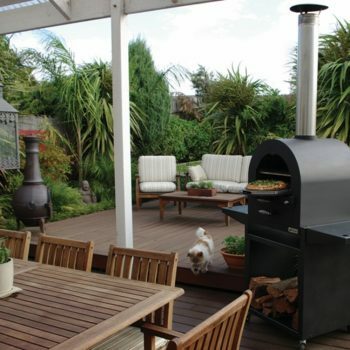 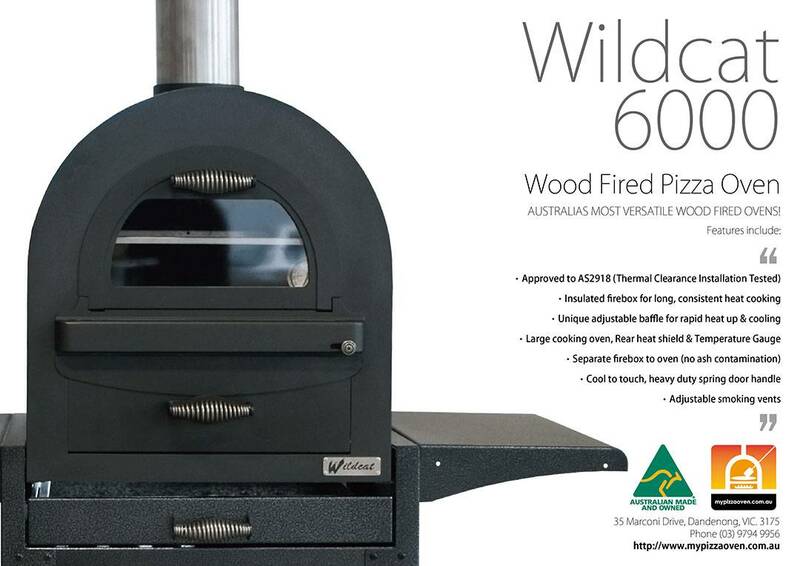 The Wildcat 6000 is a top quality, midsized wood-fired pizza oven that is Australian made and designed with more quality features than any other pizza oven on the market. 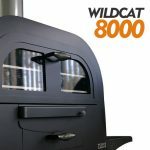 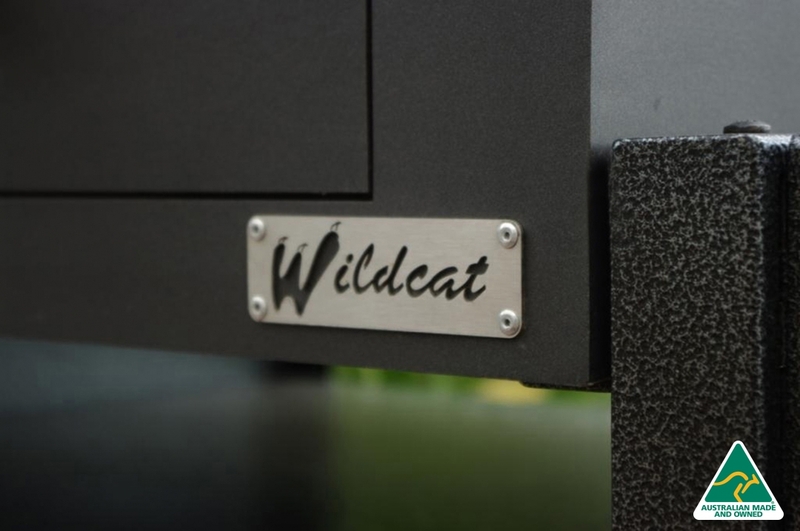 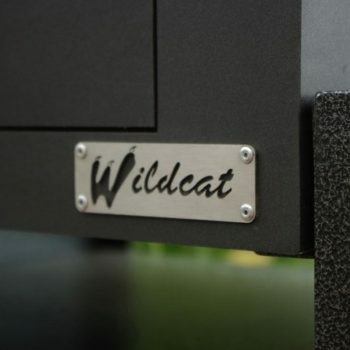 The Wildcat 6000 wood-fired pizza oven was built to impress even the fussiest pizza critic. 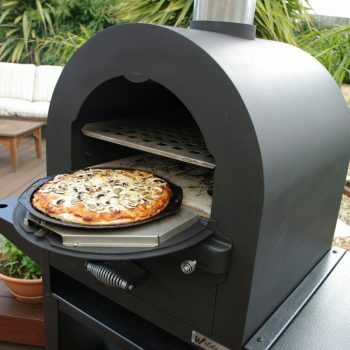 In fact, it’s more than a pizza oven. 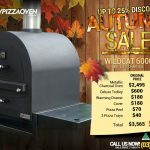 It can be used to cook all meals that your indoor conventional oven can cook, as it has a separate firebox and oven that allows you to cook desserts, cakes etc without the wood flavour. 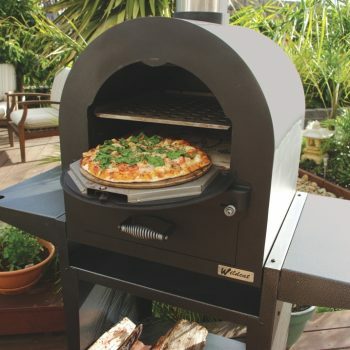 Or open the side vents and adjust the top baffle for not only pizzas but roasts, casseroles, vegetables and even smoking fish or ham. 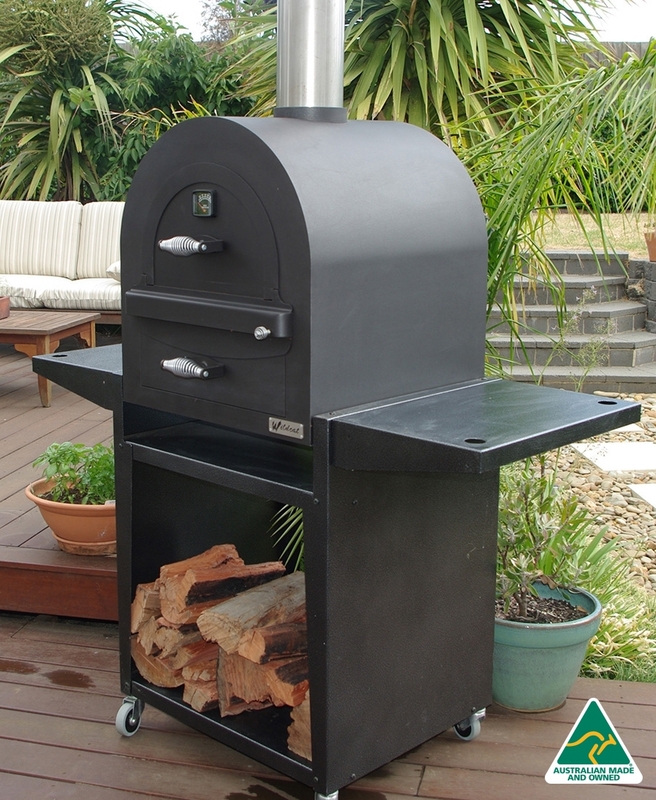 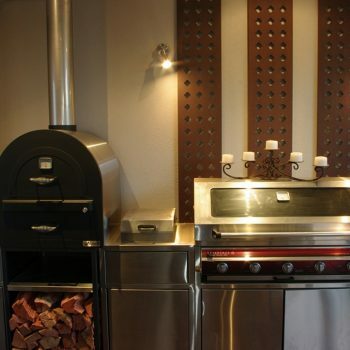 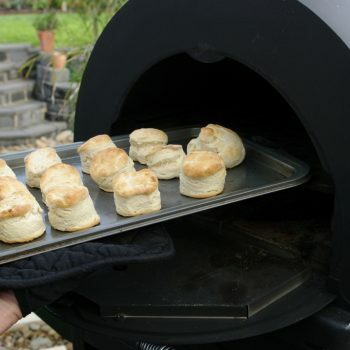 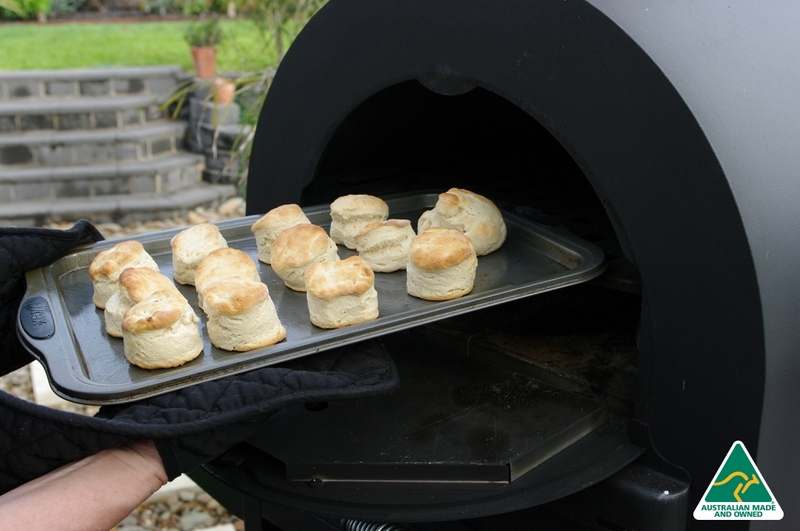 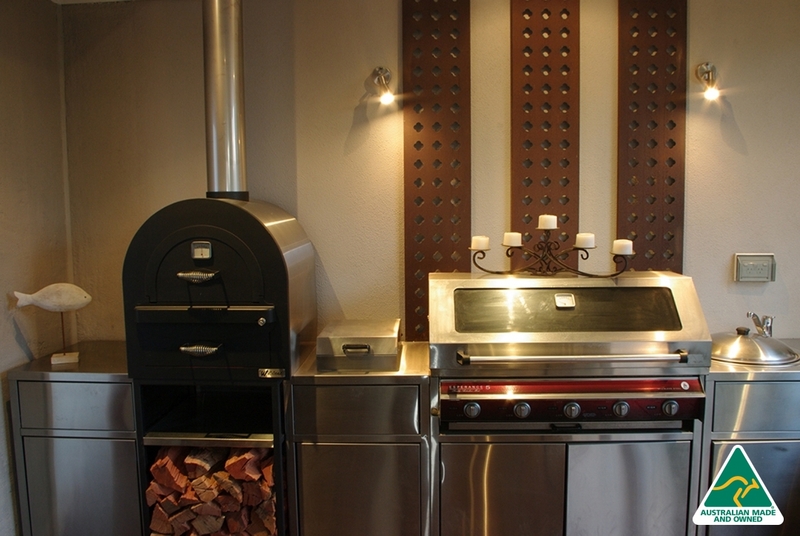 The oven features an adjustable dual-action smoker that allows you to control the smoke into your cooking oven. 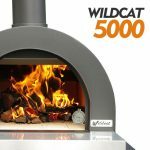 This unique dual-slide control easily slides open and closed during cooking time, allowing you to adjust the flavour as you cook.